I eat animals but I don't hunt or kill. What am I? 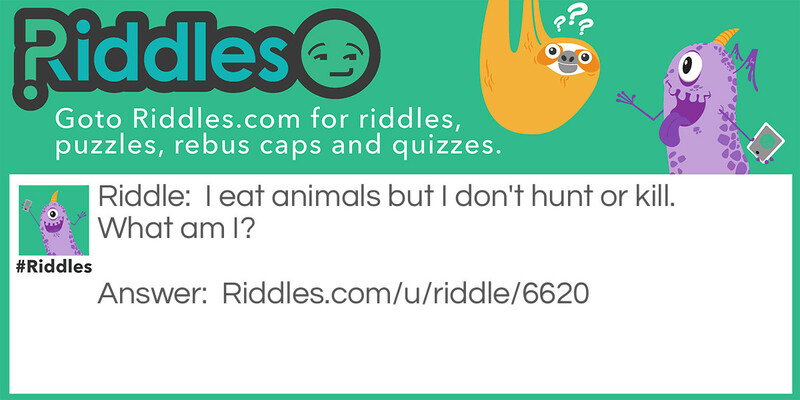 John koool Riddle Meme with riddle and answer page link.